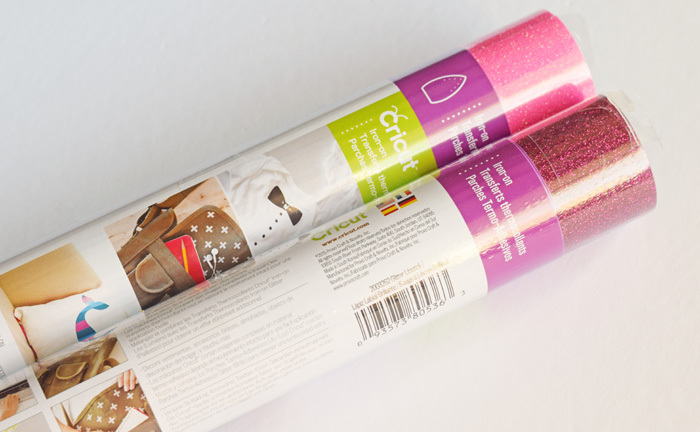 Iron-on vinyl projects are one of the most common first projects for new Cricut owners. While not complicated, there are a few tips and tricks to make sure that those new to the craft get it right the first time! This post contains affiliate links. Iron-on vinyl projects are popular for quite a few reasons. They are easy AND super cute. If you have kids, iron-on shirts and baby one pieces are an adorable baby gift. Getting ready for a special game day or cheering on your favorite kiddo in their sport? Grab iron-on vinyl to make a customized shirt. Add iron-on to a canvas bag. The list of possibilities with iron-on vinyl is endless! Using iron-on vinyl (also called heat transfer vinyl) is not difficult, but don’t make the mistake of winging it. Who wants to waste time AND vinyl? No one, I’m sure! 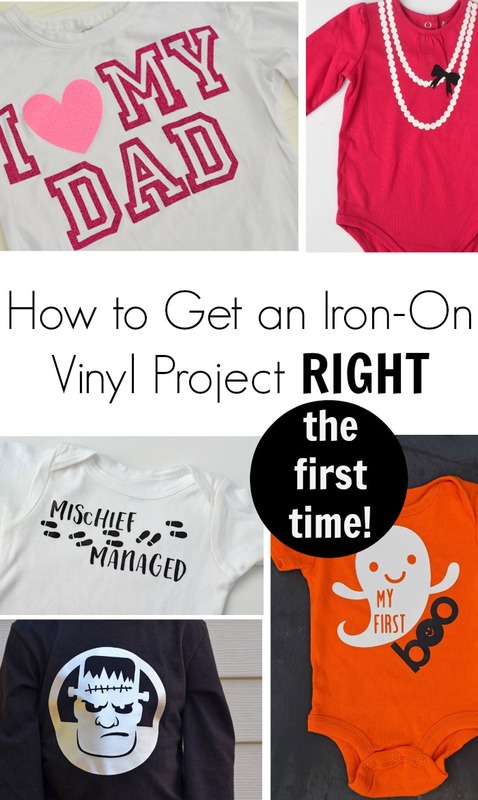 From someone who has completed countless iron-on vinyl crafts and projects, here is how to get your iron-on vinyl project right the FIRST time. Since I am an avid Cricut Explore Air user, I will be referring to the Cricut Explore Air 2 and Cricut Design Space for the purposes of this post. 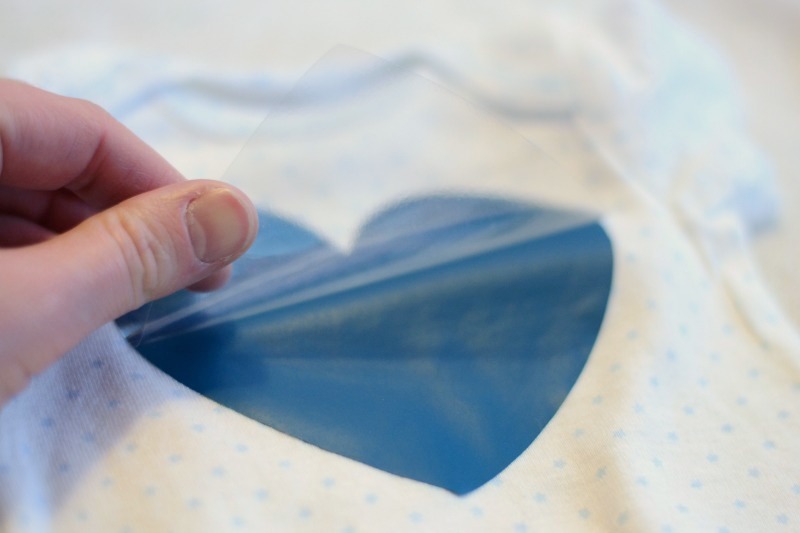 However, these tips and tricks may be applied to any iron-on vinyl project, regardless of the cutting machine that you may be using. MEASURE your project surface area BEFORE designing and cutting your vinyl. 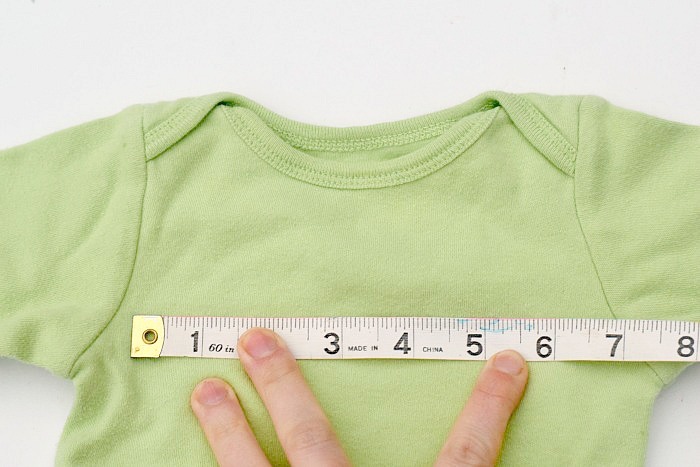 Attempting to eyeball the measurement of your shirt or bag or whatever may be costly. Don’t chance the image being the correct size for the project simply by assuming the measurement. Grab a tape measure and measure the ideal length and width for your vinyl piece. This sewing measuring tape is my favorite. It is flexible, which is perfect if I’m adding vinyl around a curved bag or something. Write the measurement down and keep it handy while designing your vinyl piece. READ the instructions on your iron-on vinyl package, if applicable (If you’re ordering from some vinyl shops, your vinyl may not come with instructions). Check out the manufacturer’s recommendations before adhering the vinyl. Cricut Iron-on vinyl comes with instructions and recommendations on the insert included in the vinyl. MIRROR your image before cutting. Cricut Design Space is awesome because it has a handy little check box for mirroring your image. 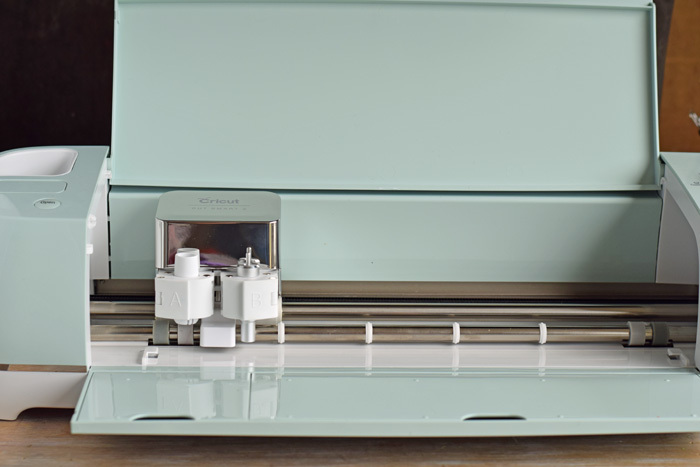 Also, if you have the dial on the Cricut Explore Air or Cricut Explore Air 2 set to Iron-on but you did not mirror your image, a pop-up box will appear before making the cut asking if you would like to mirror the image. Mirroring the image means flipping it so that it cuts backwards. You’ll want to do this so that the heat transfer side of the image is on the shirt correctly. 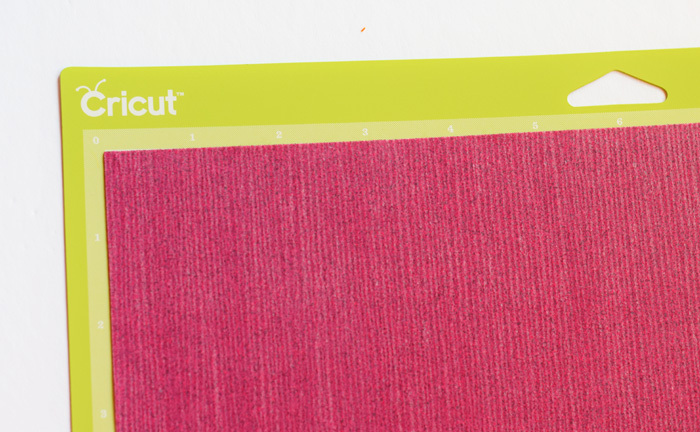 Place the iron-on vinyl on the Cricut Standard Grip Cutting Mat LINER side down. If you look carefully at iron-on vinyl, there is a liner side and a vinyl side. The liner side should be the one placed down on the mat. You can see the vinyl side up in this photo of heat transfer vinyl on a Standard Grip Cutting Mat. Keep a piece of thin cotton material on hand to lay between the iron and your vinyl project. This cotton material will help protect your vinyl from the heat of the iron (and vice versa). PRETEND you are a heat press! Okay, stay with me here. A heat press is the ideal mechanism for applying heat transfer vinyl to a project. It creates a lot of pressure on the project at the right heat temperature for a maximum vinyl-to-project bond. However, most home crafters do not need (or cannot afford!) a heat press. I do approximately five iron-on projects a month, and I do not have a heat press. But to get my project right the FIRST time, I attempt to mimic a heat press with my home iron. The secrets to this are a) the right heat temperature and b) the right pressure. Do not be tempted to crank the heat up as high as it will go. Use the whatever heat temperature that you would normally use for the fabric type that you are using WITHOUT going over the ‘wool’ heat setting. An iron too hot mess up the vinyl. For the right pressure, FIRMLY PRESS the iron on the cotton-covered vinyl. Do not move the iron back and forth like you would typically do when ironing. Press the iron hard across the entire project, waiting about 30 seconds in between sections. A general rule of thumb is when you finish applying heat to your project, you should have been pressing so firmly that your arm is slightly sore. Hey, it counts as exercise, right? If you finish applying heat to the project and peel the liner off of the vinyl and some of the vinyl pieces are still not firmly attached, simply lay the cotton piece back over the vinyl and press with the iron again in short intervals until the vinyl is set. Don’t freak out of the vinyl edges come up a bit after washing the project. This could mean that not enough pressure was applied, but it can be remedied. Lay the item on a heat protected surface, place a cotton piece on the item, and apply heat and pressure with the item again until the vinyl is once again attached. By following the above tips, I’ve never had to cut or try to adhere a heat transfer vinyl project over again! 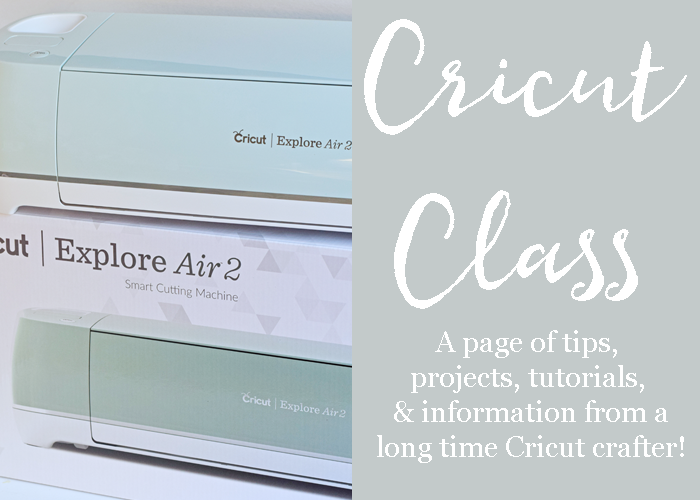 For more Cricut tutorials, tips, tricks, and project ideas, visit my Cricut Class page! DISCLAIMER: While every effort has been made to ensure the accuracy and effectiveness of all information on this website, It Happens in a Blink, LLC, makes no guarantee to the procedures shared here. It Happens in a Blink, LLC, is not responsible or liable for direct, indirect, or consequential damages or personal grievances resulting from the use of any information on ItHappensinaBlink.com. This website is not intended to be a substitute for the advice of a professional. Thanks for your tips on Iron On Vinyl. I am just starting to work with it and found your write up to be very helpful. Love your site and can’t wait to read it when it shows up in my inbox. You are very welcome. Happy crafting! I am looking for a link to find a high heel shoe for a wedding. Any suggestions? I was very pleased with your tips , I am new also you have helped me thanks . I still need your help !! Hi, iron-on or heat transfer vinyl is specifically for fabric. Do not use regular vinyl on fabric and do not apply an iron to regular vinyl. HTV has a protective film over it. The process is different for applying regular vinyl to non-fabric items. Thanks for this tutorial. I’m just now trying to figure this out and you have helped me soooo much by having this. I’m going to be trying my first shirt with htv and this has helped greatly! Ive done several shirts and they all start peeling after first wash. Even some after second wash; after I resealed. I pre-wash the shirts. Could that be the the fault? I wouldn’t necessarily think so. I have done many pre-washed shirts. In fact, I use vinyl designs to hide many a stain that my kids have gotten on their shirts. 🙂 The most typical issue is heat and pressure. Are you using a heat press? If not, the pressure with the iron is key. Your arm should be sore (like you’ve been working out) after pressing with your iron. These are really easy tips. I’ll be sharing this with my mom thanks so much! You mention printable vinyl. 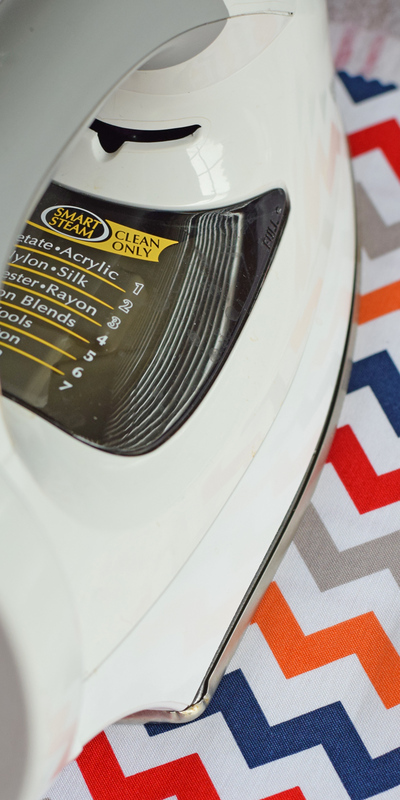 Are you using iron-on or printable iron-on? Thanks for the tips! i am new to vinyl this is really helpful. Thanks for the tips! Do you wait for the vinyl to cool before peeling off the layer, or is it good to peel off right after? Great question! You can peel it off right after. It will be hot, though, so for the sake of your fingers you may want to give it 30 seconds or so. That is odd that it cut through both layers!I’m assuming that it was shiny (liner) side down? At this point, you can eyeball it to line it up on the item or cut again. Be sure that the iron-on setting matches the material (as in, not using glitter iron-on setting for iron-on lite) and the liner is down. If you’ve done this and it is still happening, then you may need to adjust the material setting to something thinner.